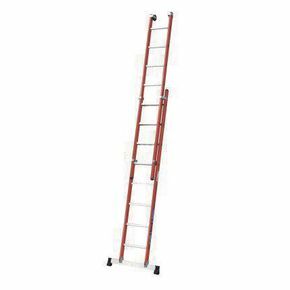 Having a ladder available that is suited to many varied workplaces can be very useful, for instance if you are a contractor. 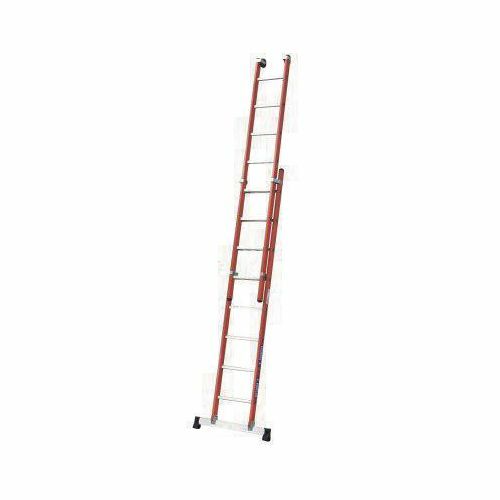 Our glassfibre ladders are ideal for many different working environments, providing excellent strength and features to suit many workplaces. They are manufactured in polyester reinforced glassfibre, incorporating a cross-winding technique providing additional strength with only minimal weight, while ensuring good mechanical and electrical insulation properties. 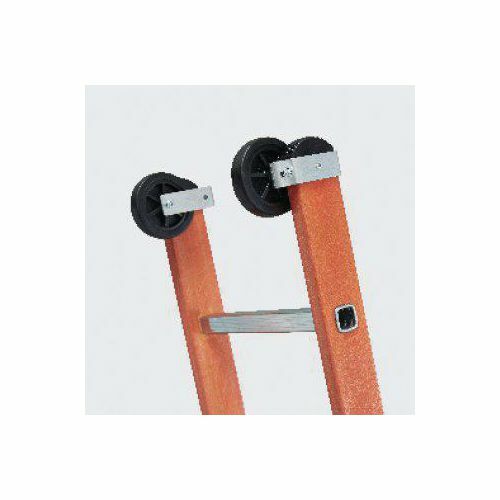 The stiles are acid resistant and rot-proof; the ladders also have 19mm square aluminium rungs with a slip-resistant surface providing underfoot grip for the user. The flashover between the rungs can withstand up to 30,000 volts and have been laboratory tested after 24 hours of immersion in water. You can be confident that they are quality products as they are manufactured to European Standard EN131 Industrial use as well as GS and NF standards. There is a choice of three extended heights; 4.09m, 6.05m or 6.89m, allowing you to choose the height that will best suit your requirements. 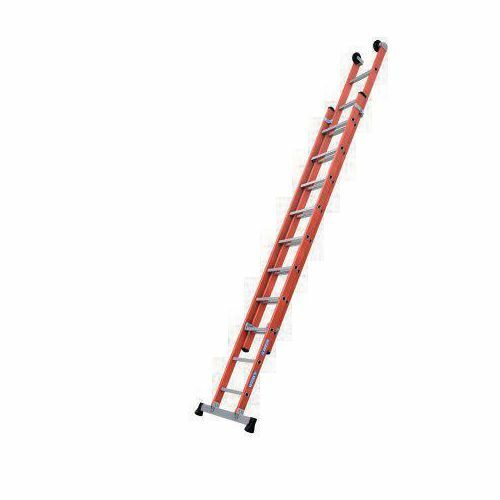 Our glassfibre ladders are an excellent choice when working at height; they come with a 60 month guarantee and FREE UK Delivery.